So off I went to buy some cookie cutters. I settled on a pumpkin and a cat. I got them on sale and they were plastic! Plastic ones don’t rust and they don’t morph into different shapes when used many times. Then I bought some black icing. 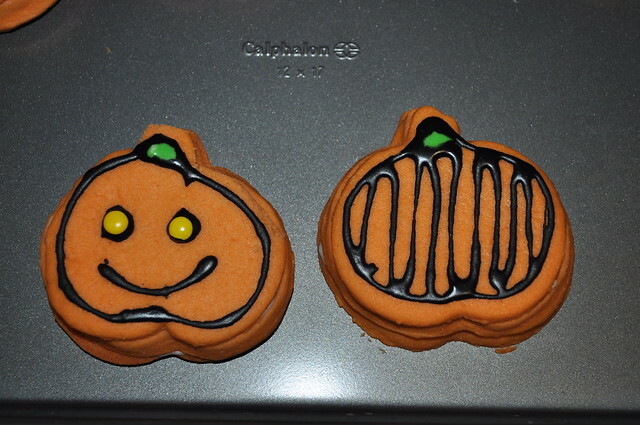 I decided to go for Wilton’s Black Cookie Icing to decorate because I knew that we were going to make these during the weekday, and it was just easier to buy it than make it. We started the process this past Sunday. This is when we made the dough. It’s gotta refrigerate for at least four hours. 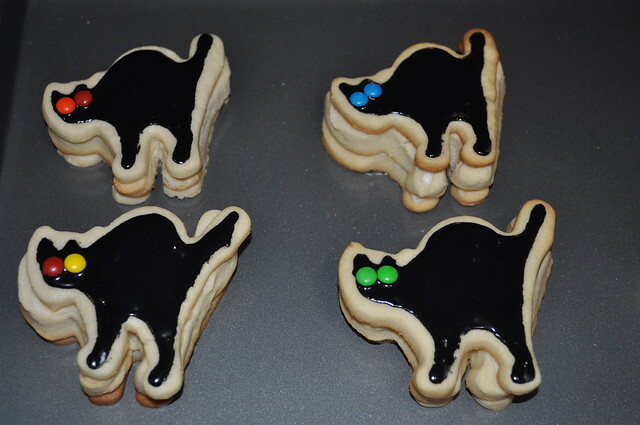 For the cats, I made just regular colored dough. 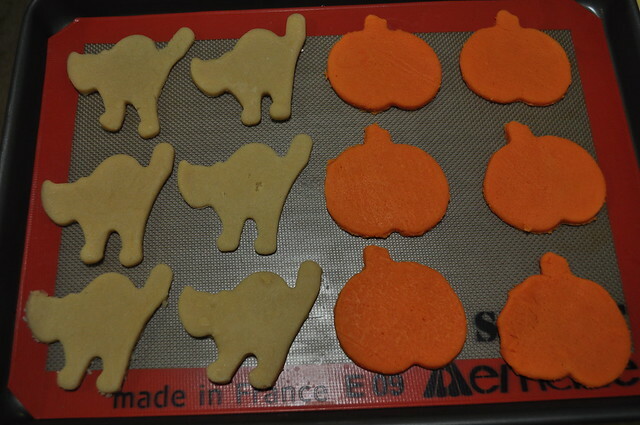 For the pumpkins, I made orange dough. Makes sense, yeah? Off to the fridge it goes! On Monday, we made the actual cookies. A great tip for you guys… always try to work with the dough when it’s cold. 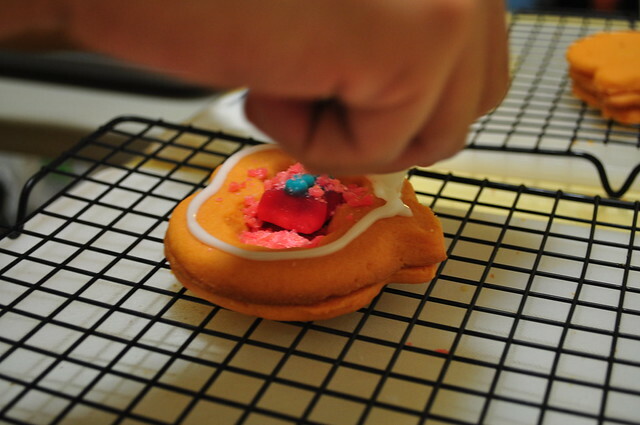 It’s a lot easier to handle the dough and the cookies will hold its shape better. 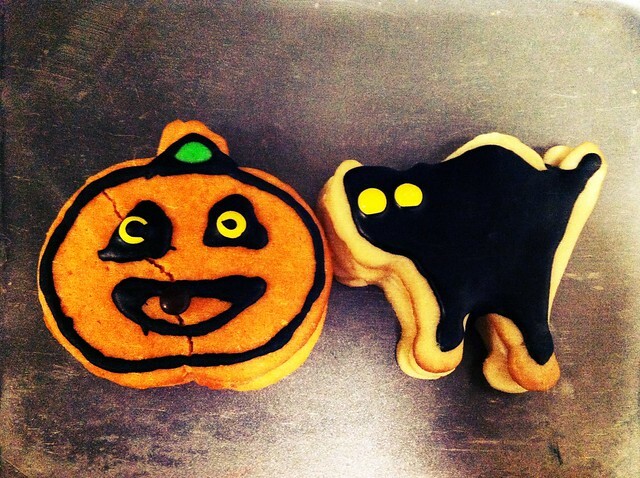 Unfortunately, it was very warm when we made these, so the cookies didn’t hold its shape well. 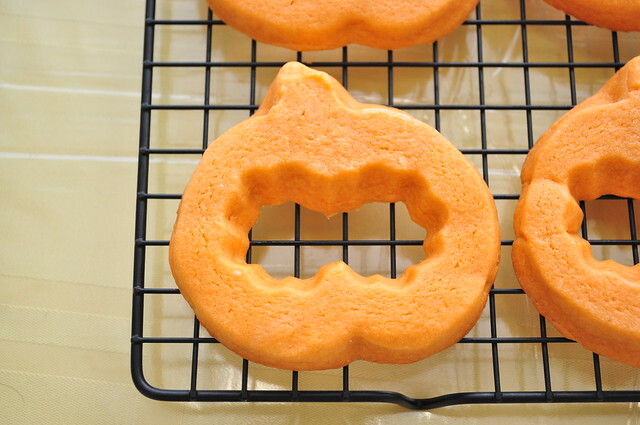 Make lil’ holes in the middle with a small round cookie cutter! This is where you can put lil’ candies in and surprise your dear friends with them! This was the day we assembled the cookies. Here, we’ve got the kitty and all the components you need to assemble. Put the middle piece on top. Then add some candy! Here, we used mini M&M’s. 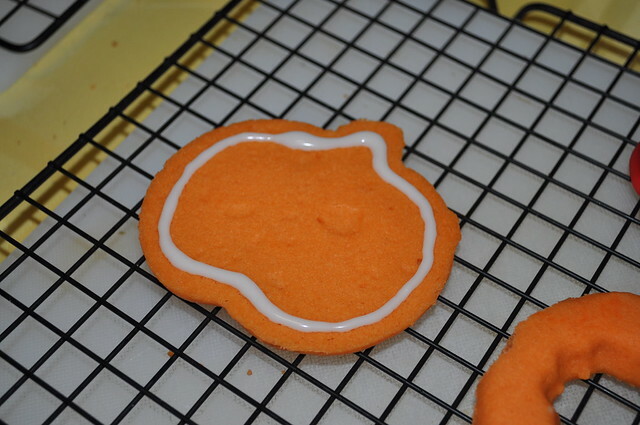 Then you put glue on the middle piece, and top it off with another kitty cookie. For the pumpkins, you can fit more stuff in it, since there’s room for two holes. We decided to go the “trick” route for some of them! So just put some icing on the bottom piece. Put in a spider gummy with pop rocks as the dirt. Then ice the middle piece. Then we just decorated the tops to make ’em look cute. We also decorated them according to “trick” or “treat”… basically what’s inside. Can you guess which one has the “trick” and which one has the “treat”? So here comes the day of the bake-off! There were 12 entries. I was thinking that I got this in the bag because of how clever these cookies are. Turns out, that there were some other pretty ones that the judges liked more than these. It’s okay though! We ended up getting 4th place… which is still pretty good. The cookies actually tasted amazing. Not too sweet and soft for being a cut-out cookie. You should try and make these! Despite how long it takes to make these, it’s pretty satisfying to see the end product. 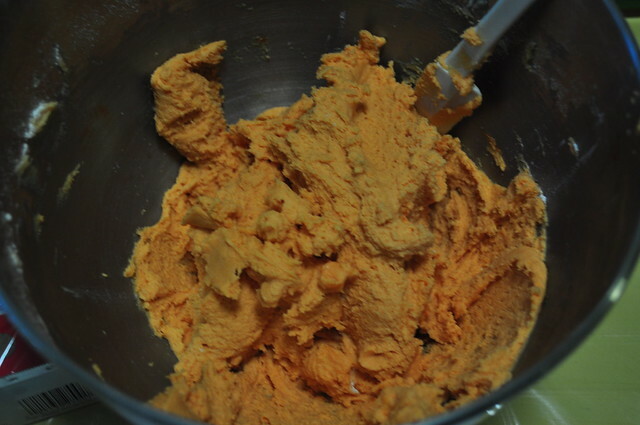 Beat the butter and sugar in an electric mixer until smooth. Add the egg and vanilla and beat for a minute. If you are adding food coloring, put a few drops. You can add more food coloring later on if you need it. 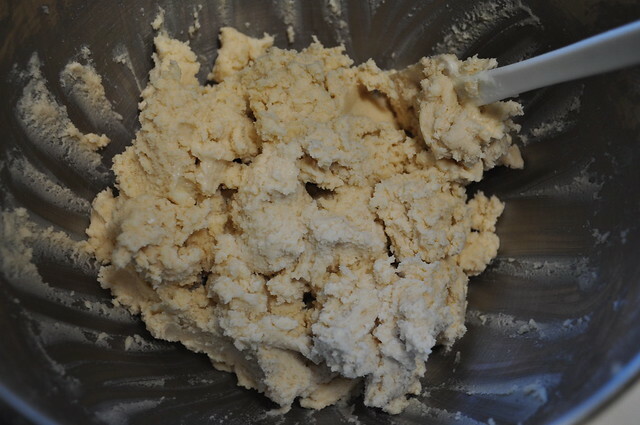 With your mixer on low speed, gradually add half the flour. Here is where you can add more food coloring, if needed. Mix everything on low for a minute. Add the rest of the flour and mix until everything comes together. Divide the dough into two balls. Flatten them into squares and wrap individually in plastic wrap. Chill the dough in the refrigerator until firm, four hours or overnight. After chilling, taking it out of the fridge to warm up so it can be rolled out. Roll out the square of dough to 1/4″ thickness. 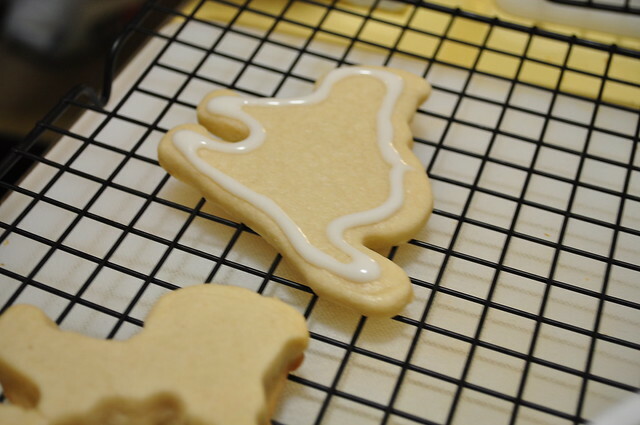 Use your cookie cutter to make the shape you want for the cookie. 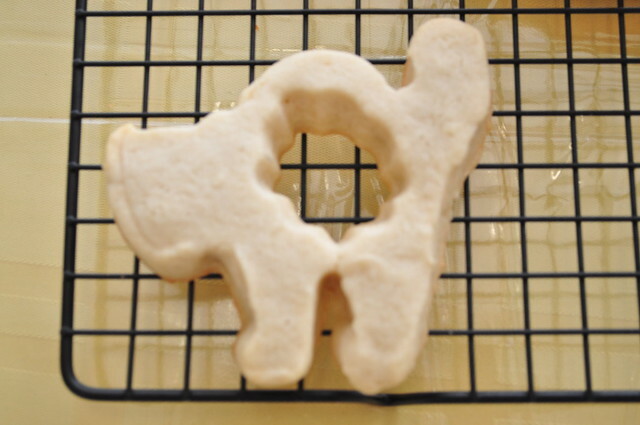 This will be the top and bottom of the cookie. 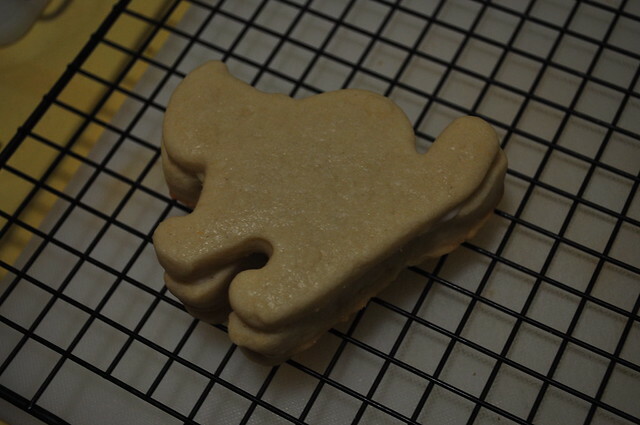 Put this on a cookie sheet and store in the freezer for a few minutes so that it will hold it’s shape better. 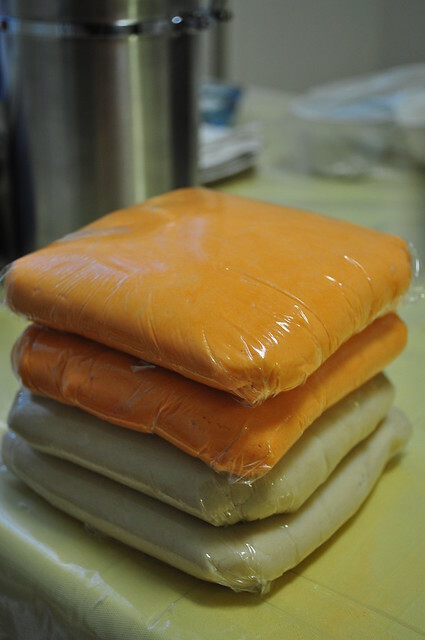 Roll out the other square of dough to 1/2″ or 3/8″ thick. 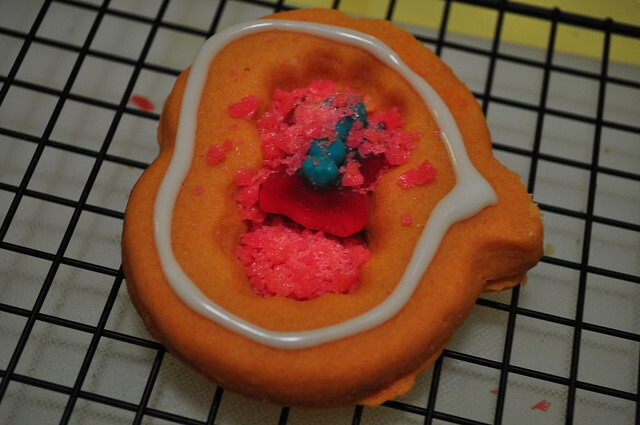 This will be the middle of the cookie, so it has to be thick to hold the candy. Use the same cookie cutter as before. 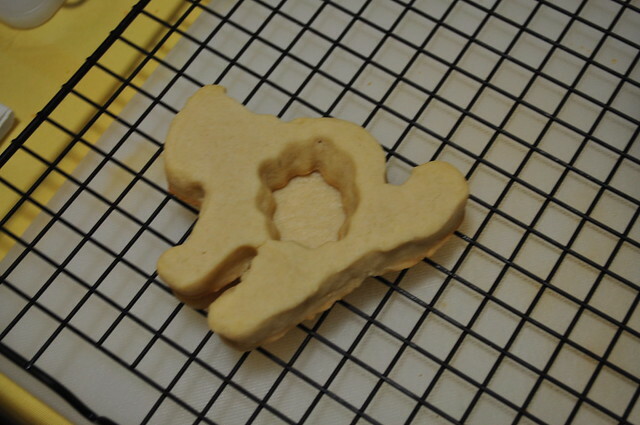 Use a smaller round cookie cutter to make a hole in the middle for the candy. Add this to the cookie sheet with the other cookies in the freezer. Bake until just beginning to brown at the edges, about 10 to 12 minutes. Let cool completely. While the cookies are cooling, make the glue. 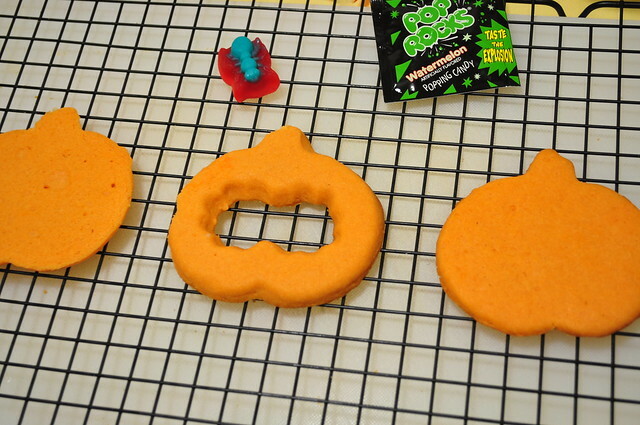 Put the glue in a plastic bag and cut a hole at the corner so you can pipe the glue on the bottom cookie, then the middle cookie after you put in the candy. 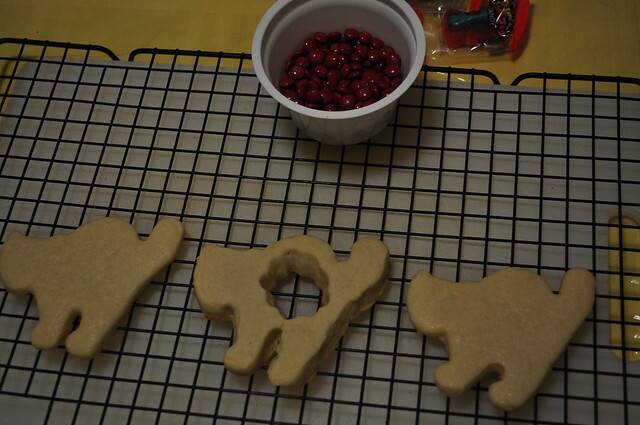 Decorate the top of the cookies, if desired. Surprise everyone with these treats full of candy!